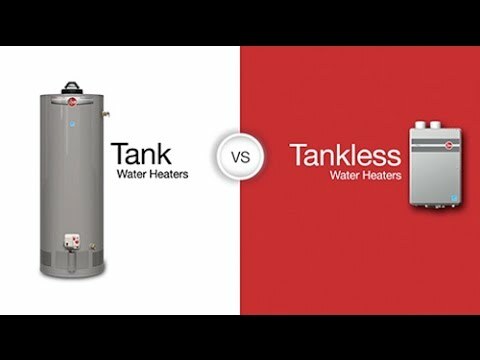 The following is an edited transcript of Matt Risinger’s video blog: 3 Tankless Water Heater Myths. Are you shopping for a new water heater? Thinking about dumping your old tank in favor of tankless? Let’s look at 3 misconceptions about tankless water heaters, and 3 compelling reasons why you might want to consider one. I’ve got 3 myths for you that are common out there about tankless water heaters. We are going to debunk those. But I’m also going to tell you 3 compelling reasons why you might want to consider a tankless water heater. If you were going to ask the average Joe in America, “Why buy a tankless water heater?” I think they are going to tell you: “Savings”. You see that on the brochures from all the manufacturers. But I think the savings are a myth, or at least, are overstated. Let’s take a look. When you look at the energy guide on a natural gas, whole house Rheem tankless water heater, the government is saying that for an average family will use about $225 in natural gas over the course of the whole year. If you divide that by 12 we are talking about just under $19 a month in gas to fire this unit. Let’s compare that to what the usage on a traditional 40-gallon tank might look like. When you take a look at the energy guide on the side of the traditional tank, you see it will cost about $315 per year, or about $26 per month. So what’s the difference in energy savings? It’s about $7.50 per month ($90). If you rip the old tank out of your house and put the tankless unit in, you will definitely see some savings, but is that saving enough to really make a difference to your pocketbook? Are you really going to notice those savings? It’s not much, but saving an additional $90 could pay for those 9 movie tickets you were going to buy during the year. Myth #2: INSTANT Hot Water! Many refer to these tankless water heaters as “instant” water heaters. It is true that as the water comes in to the unit, it instantly is converted to hot water. This is compared to the tank unit, where it takes time to make hot water. That water is going to be cold at the bottom and slowly we heat the tank up. Tankless is instant. However, you don’t have instant hot water at your sink with either a tank or tankless unit. You still need to turn on your tap to let the cold water out to draw the hot water to that location. To truly get instant hot water at your taps, you need a circulation pump or have all your taps in close proximity to your water heater. Smaller, tankless point-of-use systems that can be installed under a sink can also provide instant hot water. 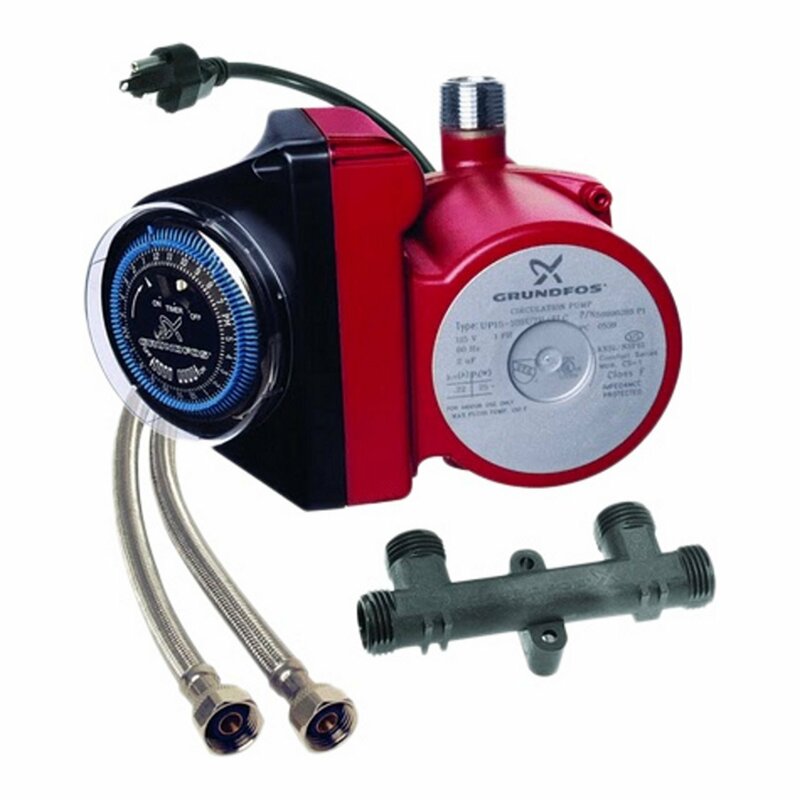 There are a bunch of different styles of circulation pumps. You will want to get one that allows you to set a timer that will allow you to circulate water through the hot loop through your house, like a hotel, so that when you turn on the faucet you will have instant hot water with very little wasted water. These circulation pumps can save you lots of money on your water bill. So that you are not making the tankless water heater run for hours, circulating hot water, it is best to set the timer to start circulating hot water a few minutes before you and your family usually take showers, but then have it stop circulating after that period of time passes. 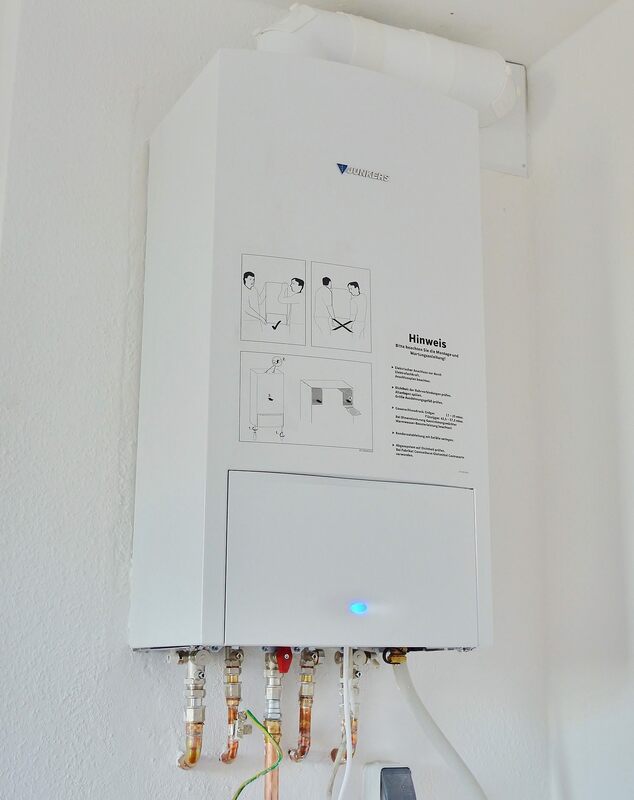 A lot of people say that tankless water heaters are maintenance free, as if you can set it and forget it. Really that’s not true. 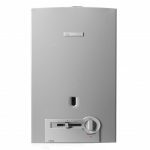 A tankless water heater is going to need either an annual or bi-annual flush depending on your use. If you have soft water, meaning you have a softening system, you are not going to have to do this very often at all, in fact, maybe never. But if you’ve got hard water like I do, I need to flush mine on a regular basis (annually or bi-annually). Remember Myth #1 about Savings, where you will save about $90 per year? Well, you better put that into your back account, because with hard water, once a year you are going to need to flush it. A plumber will charge from $80-$150 to do it, or you can do this yourself with the right materials, such as Whitlam’s Flow-aide System Descaler Kit or Tankless Water Heater Flushing Kit by My PlumbingStuff . The traditional tank has hardly any maintenance with the exception of draining the tank regularly to remove scale build up and to help the heating rods last longer. The problem with this simple yet inconvenient maintenance is that most homeowners don’t drain their tanks at least once a year thereby shortening the life of their tank’s heating rods. Now we’ve talked on several myths, and it sounds like I may be down on tankless. That’s not true at all. I have a tankless system at my house! I think there are 3 compelling reasons for tankless. You see a lot of advertising about the luxury of a tankless water heater, and I think that is the biggest and most compelling reason. You have nearly limitless hot water. In my house 10 years ago I had a standard tank water heater. If my wife took a long shower, or bathed one of the kids and I got in the shower right afterwards, I’d invariably run out of hot. But now that I have tankless in my house I don’t have that problem anymore. There’s a certain luxury that comes from that limitless hot water, and I love that about it! Compelling Reason #2: Space considerations! Look at the size of your standard tank. That is a beast. Whereas the tankless unit is tiny. You can hang it on the wall and it can be put just about anywhere. It has a very, very small footprint, and, if you’re in the south or a warmer climate, you can put it on the outside of your house. I love doing that because I’m not taking any space inside and I don’t have to worry about venting the indoor unit (if it’s natural gas or propane). That’s a huge win for a tankless water heater. If you look at a plumber’s bone yard of used, worn out tank water heaters of all ages. Most of those are about 10 to 15 years old. That’s really the life span of a typical tank water heater. In fact, many only last 7 or 8 years. Whereas tankless units, which have been around for many decades with technologies coming from Europe and Japan, are very, very reliable. If you maintain them you should be able to get at least 20 to 25 years before you are going to need to replace it. Tankless water heaters have a very long lifespan.